On the forum, I mentioned recently that I have created a custom search engine for this site that searches not only this site, but the “In Death Wiki” at Wikia, and Nora Roberts’ official sites. 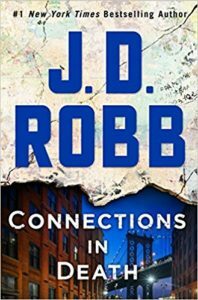 Instead of searching all of Google and getting some weird random hits, this custom search was created to give you the best answers to your questions using only sites specific to Nora Roberts/JD Robb. Having said that, I should tell you that this search also looks through my own personal archive of the ADWOFF “Stupid Questions for Nora” threads. As many of you know, ADWOFF was the first Nora Roberts themed forum, and Nora herself was a very active member there until it closed in 2013. Every few months or so, the moderators at ADWOFF would open a new “Stupid Questions” thread, and members of that forum could ask Nora any question they wanted to, which would be answered by Nora herself. The In Death Wiki heavily relied on these answers to verify information about the “In Death” series. When that forum shut down in 2013, I realized that so much really amazing information would be lost! So, I downloaded archives of all of those threads for my own use. I hesitated to use that archive for a long time, mostly because I worried about the legal ramifications. But recent legal cases have ruled that re-posting information from another website for purposes of informing the public and not for monetary gain is perfectly legal. So, the archive exists here on jdrobbfans.com, and you can search them by using the new search feature. Feel free to question or comment below! Ok, so my mom has Dark in Death in her bathroom so while on a long visit there I started reading it while using the toilet:) I am going to be hooked for sure! Before I go nuts, what is it to, “tag” someone? Message? Call? Do I have to go back and read from the beginning of the series or can someone just please clue me in!! First of all, Welcome! We’re always happy to have a new fan of this series! I think Nora uses “tag” to generally mean to get in contact with someone. That could mean either call or text or email…whatever they have available at the time and is fastest. Recently, Nora has been using “text” more…Eve will text Roarke, for example. But keep in mind that the first book, “Naked in Death” was written in 1995, and text messaging was still in its infancy, and most of us didn’t really text yet. So, in a lot of cases, she said things like “tag” to keep it general since she didn’t know what future communications would look like.